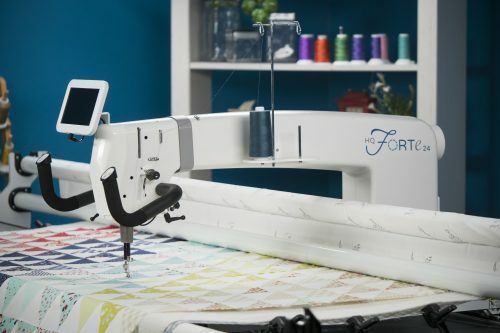 The Pro-Stitcher® quilting system integrates Handi Quilter’s world-class quilting machines with the latest computer technology to help you finish more quilts. This is the stand-alone product; for packages that include machines, please check the machine pages in the shop. The Pro-Stitcher® quilting system integrates Handi Quilter’s world-class quilting machines with the latest computer technology to help you finish more quilts. 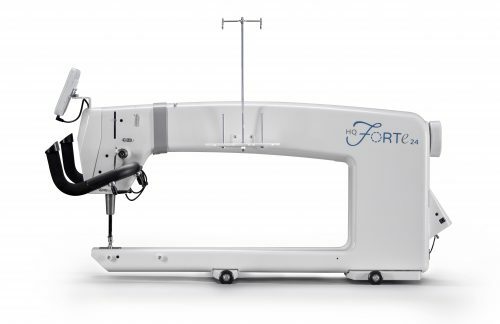 Pro-Stitcher guides the machine to quilt any design you want to use, create, or customize. It works with all Handi Quilter stitch-regulated quilting machines: HQ Sixteen, HQ Simply Sixteen, HQ Avanté, HQ Forte, HQ Fusion, and HQ Infinity. Expand your quilting possibilities with this easy-to-learn, easy-to-use, computerized system and have fun finishing more quilts! 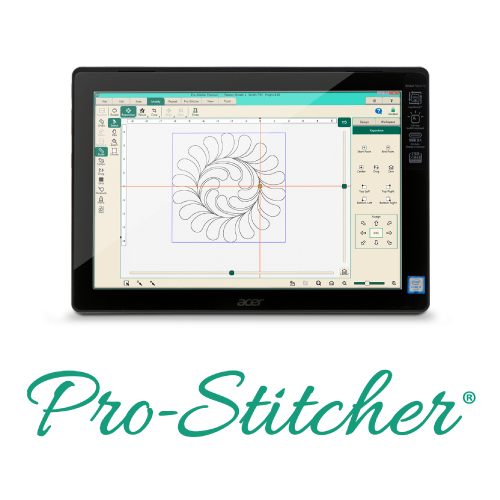 Using integrated HQ technology, Pro-Stitcher offers the best of both worlds: computerized quilting and free-motion quilting in the same package! Learn more at the Pro-Stitcher website!